Selloplast | PRIVACY NOTICE SELLOPLAST – ΑL. PAGIANTZAS S.A.
PRIVACY NOTICE SELLOPLAST – ΑL. PAGIANTZAS S.A.
Home / PRIVACY NOTICE SELLOPLAST – ΑL. PAGIANTZAS S.A. Here in SELLOPLAST we have as a goal to protect and safeguard your privacy and personal data. To achieve this, we have undertaken a series of actions, rules and procedures to be fully compliant with the current European and Greek legal framework for the protection of personal data. This Privacy Notice establishes the terms and conditions under which SELLOPLAST collects, uses, transfers and protects your personal data. This Privacy Notice is subject to modifications and adjustments, when deemed necessary. These changes will be effective from the date that will be posted in our website www.selloplast.gr. means any operation or set of operations which is performed on personal data or on sets of personal data, whether by automated means, such as collection, recording, organisation, structuring, storage, adaptation or alteration, retrieval, consultation, use, disclosure by transmission, dissemination or otherwise making available, alignment or combination, restriction, erasure or destruction. SELLOPLAST – ΑL. PAGIANTZAS S.A.
Tax information (name, VAT number, address, profession, bank accounts). Demographics (e.g. date of birth) and training and work experience when you send us CVs. Unless otherwise prohibited by any legal process, third parties are obliged and bound to protect your personal data in accordance with our Privacy notice and comply with applicable laws and regulations on privacy. We will retain your Personal Data, in a form that enables us to identify you, for as long as in necessary to fulfil the purposes of the relevant processing activity. for the period necessary to fulfill the purposes outlined in this Privacy Notice t unless a longer retention period is required or permitted by law. When the retention period is over, your personal data are destroyed, deleted or anonymized. When the processing of your data is required by law, then we retain them for as long as imposed by the relevant provisions. When the processing of your data is necessary for the performance of a contract between us and you, your personal data are retained for as long as necessary for the performance of the contract and for the foundation, exercise, and / or support of legal claims under the contract. Additionally, the retention time for some of your personal data may depend on our own policies regarding dispute resolution, complaint handling, fraud prevention and other illegal activities.  To ask us to do anything of the above, you can contact us by phone (+30 2310 798-268) and by email: info@selloplast.gr. We will promptly examine your request against the relevant requirements of the laws and regulations governing personal data protection and we will answer the latest within 30 days after receiving your request. If, for reasons of complexity of the request or a multitude of requests, we are unable to respond promptly, we will notify you within thirty days of any delay, which in no case may exceed two months from the expiration of the 30-day deadline. It is possible to ask from you some kind of identification (e.g. photocopy of your identity card or passport) to avoid non-authorized reveal of your personal data. or by sending an email to: info@selloplast.gr, always giving your full details and your reason for contacting us. We assure you that we appreciate your trust and we take prompt care to respond to any requests, questions or complaints. Functionality cookies are used for the smooth operation of our web site. They enable our site to “remember” user preferences in order to offer improved and customized functionality to each user. Asking questions or commenting on the privacy practices we apply and about this Privacy Notice. It is possible to revise this Privacy Notice periodically in order to adapt to the changing legal, regulatory, business and technology environment. In our site you can find the current Privacy Notice with date of entry into force to know when the most recent review was made. © 2018 Selloplast – PRIVACY NOTICE SELLOPLAST – ΑL. PAGIANTZAS S.A.